This titanic masterwork is so closely observed and carefully structured by O’Neill that it stands up to new meanings, depending on the strengths of the cast and the tenor of the times. It’s a quartet, but sometimes the play seems mostly about indicting the aging, supposedly close-fisted actor/father James Tyrone and grudgingly coming to terms with him. Very rarely it centers on youngest son Edmund’s unmoored self, facing the possibility of consumption amidst the festering blames and cross-taunts of his long-suffering family. 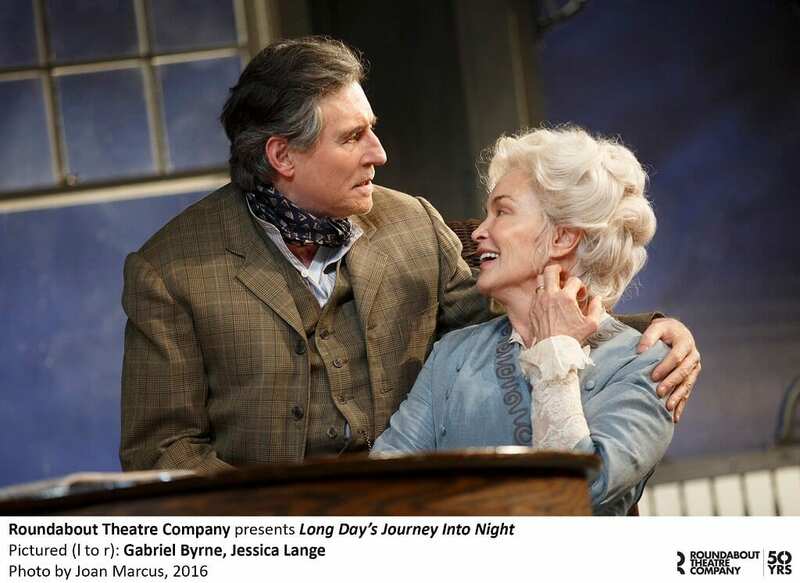 In Jessica Lange’s masterful hands, we have a very intimate long day’s journey into the isolating terror and duplicities and soul robbery of mother Mary Tyrone’s addiction. Written almost 75 years ago, it is shudderingly relevant again in this time of spreading middle class dependence on prescribed opioids. The family obsesses over appearances and avoiding humiliation, making Mary’s morphine addiction literally unspeakable–pure uncut denial—while the rest of the family drinks and drinks. When the signs she is using again begin to emerge, the family’s watchful, pained stares are palpable. This production is crystal clear. We can almost count the molecules entering Mary’s bloodstream and brain and inner being. 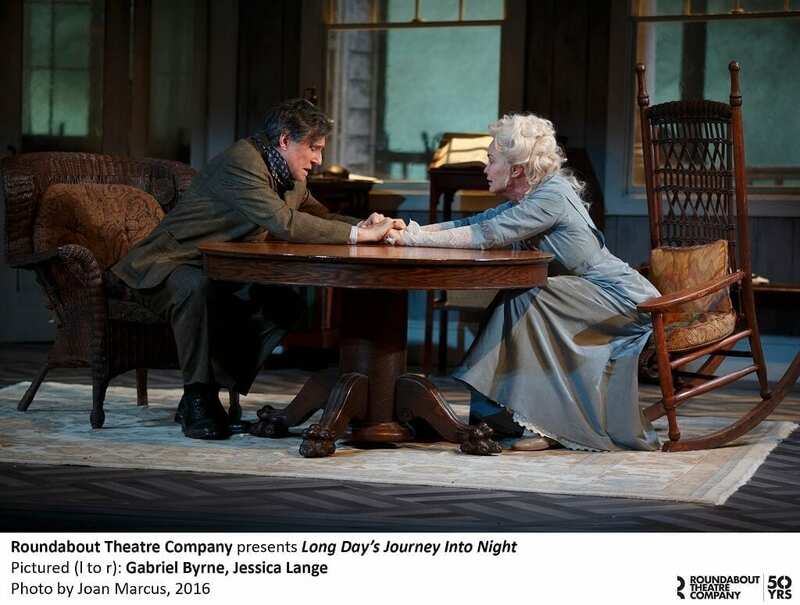 In the last Broadway revival, Vanessa Redgrave brought us the physical, animal frankness of Mary’s addiction. 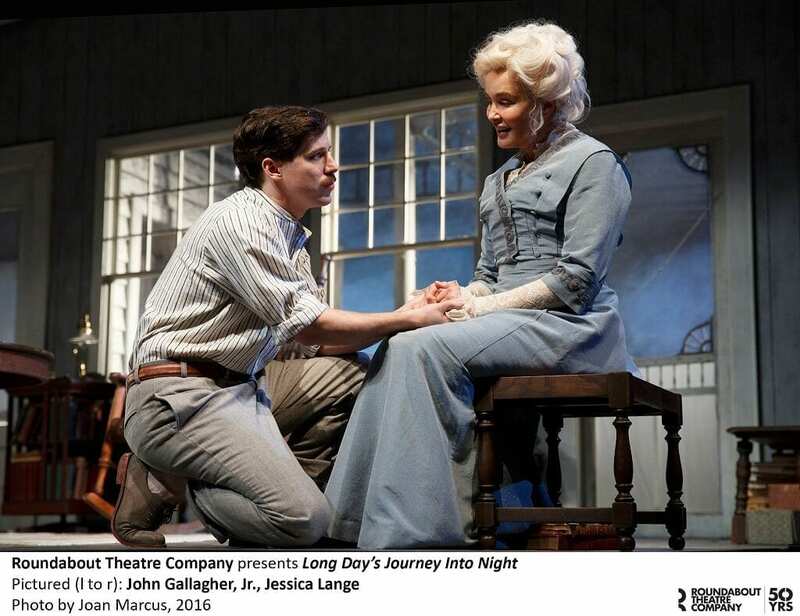 Lange gives us the spiritual cost and wrings our tearful pity. She is a fluttery, nervous female of the age, finding all kinds of places in her register for truths to punch through. In other productions we may dismiss Mary’s religious mutterings as so much nostalgia and confusion. Lange finds the shining anchor of faith within, or rather the terrifying hole its absence leaves behind. That convent girl was real, and is really lost. When she stares uncomprehendingly at her aged hands, we believe her disbelief. What a wonderful, wonderful piece of work. The spotlight falls so squarely on Mary in part because Byrne’s is a quieter, more caring James Tyrone than some. We believe in his tender concern for her, and in his frustrated disappointment in his sons. And for goodness sake, he’s actually Irish, so those roots are there. 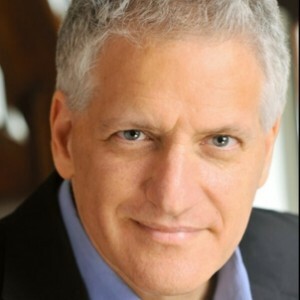 But the matinee idol who pulled himself out of poverty, a celebrity who still inspires swoons, who has to make a show of it with every neighbor and makes his presence known in barrooms? There’s not much hint of the theatrical in this Tyrone. Michael Shannon is a dark pleasure, a smooth, but unpredictable vessel for Jamie’s cynicism and wit. He has jazz timing in his barbs. But his real care for Edmund is in there. The O’Neill stand-in character, Edmund, is often a whitewashed cipher, probably because O’Neill was omitting critical parts of his own real biography–his forsaken wife and child, for instance–in this most autobiographical play about his family. Gallagher at least makes him a character, a very callow, very confident young man. Colby Minifie deserves mention, too, for her loose-limbed, uninhibited turn as Cathleen, the serving girl Mary keeps close by for company. She’s a charmer. Tom Pye’s deeply angled set creates some fascinating opportunities, setting one corner of the room alarmingly close to the audience. At times, it gives us the view from Mary’s vantage point, as the object of the family’s stares. In other moments it gives us the stage equivalent of a close-up. A character “privately” faces away from the action, delivering his or her secrets straight into our hearts. What concentration. What a privilege to see it. 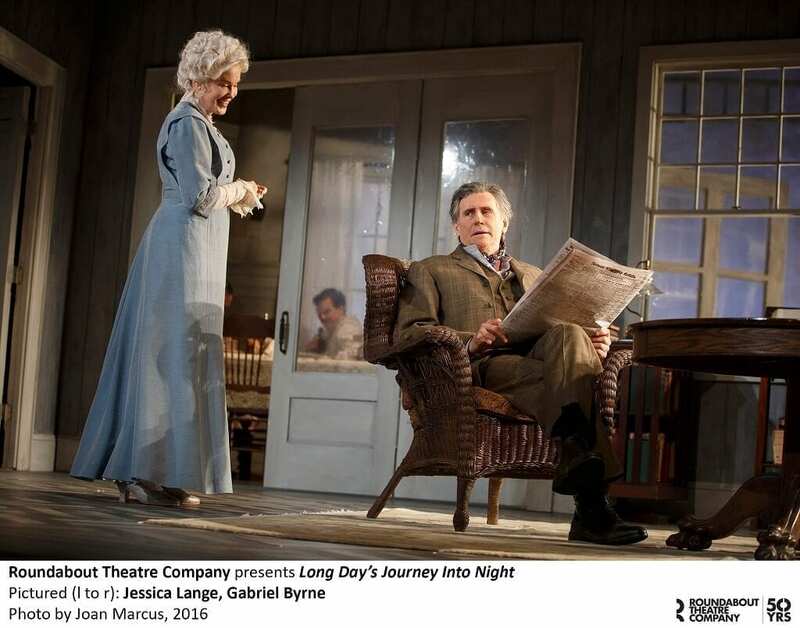 Read Paul Meltzer’s review and interview with Dr A. Pettit on Long Day’s Journey Into Night at the Undermain in Dallas. His last name is spelled O’Neill, not O’Neil. Thank you for catching this embarrassing error! It will be corrected in the next cycle. As you can see, O’Neill was spelled correctly in the header but nowhere else. And I’ve taught O’Neill, so I have no excuse whatsoever.